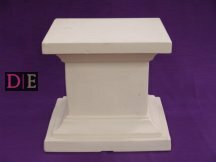 We offer a large selection of pillars and pedestals for you to hire. Pillars topped with an attractive flower arrangement are a great attention grabber and help to draw more attention to the main stage or top table. Alternatively, add some extra pillars down your aisle way with a Gold Radha Krishna or Ganesha statue for a more personalised look. 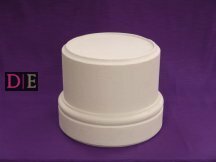 All of our pillars are available on dry hire. Dry hire is a great way of saving money as it involves you collecting the items from our store and then returning once your finished. Nice and easy!